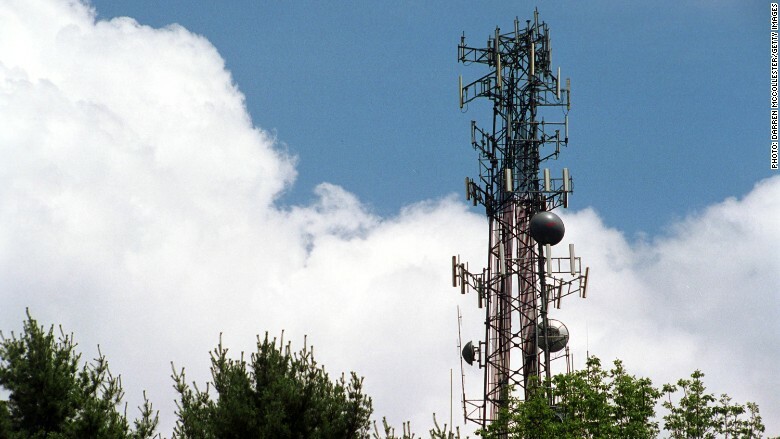 Police use Stingray devices to spoof cell phone towers like this one in Sudbury, Massachusetts. Federal law enforcement officials, in testimony on Capitol Hill Wednesday, gave some long-awaited answers about how they use secret devices to track Americans' cell phones. Until now, the FBI and several other law enforcement agencies have kept a tight grip on any information about the use of "Stingray" machines. Police nationwide have been using Stingray devices for years. It mimics an actual company cell phone tower and tricks your phone into connecting with it. There have been serious concerns about whether police are listening to phone calls, collecting text messages and tracking Americans' locations without warrants. On Wednesday, two officials from the Justice Department and Department of Homeland Security told Congress that the devices are programmed to track cell phone locations -- but not gather calls or messages. "Our policy requires that they be configured to not collect content," said Elana Tyrangiel, a deputy assistant attorney at the Justice Department. The officials also talked about warrants -- or lack of warrants. Until recently, neither agency enforced the long-established practice of having judges sign warrants to approve this kind of surveillance. The Justice Department just issued new rules in September, and Homeland Security followed with similar rules this week. But on Wednesday, agency officials told Congress there are still exceptions that don't require warrants, such as time-sensitive, emergency situations. That answer made members of the House Oversight and Government Reform Committee uneasy. California Congressman Ted Lieu worries those exceptions go too far. "The mass surveillance of peoples' cell phone signals requires a warrant," Lieu, a Democrat, told CNNMoney after the hearing. It also became clear that, even though the federal government is handing local police departments money to buy this gear, sheriffs and detectives don't have to abide by the same rules. That point bothers Representative Will Hurd. "Are local law enforcement making sure they're getting court documents to use the device? Are they deleting the data as soon as the mission is over?" the Texas Republican told CNNMoney. "The overarching concern is: Are we protecting our civil liberties?" It's unclear how many Stingrays exist, or how often they're used, or which police agencies own them. "Our citizens deserve far more transparency when it comes to their Fourth Amendment rights (preventing unreasonable searches and seizures)," Congressman Rod Blum, a Republican from Iowa, wrote to CNNMoney after the hearing. 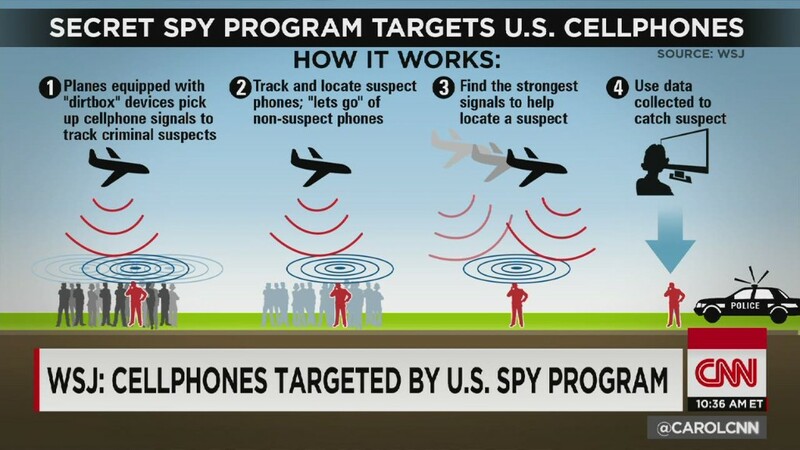 Last year it was revealed that federal agents fly small planes loaded with Stingrays to spy on Americans' cell phones across the country. And when the FBI supplies local police with Stingrays, even their agreements remain secret. Earlier this year, court documents revealed that the FBI has instructed local police to drop criminal charges rather than reveal "any information concerning the cell site simulator or its use." The reason any of this is now public is because of legal battles led by the American Civil Liberties Union, which has built a map that shows what states use Stingrays. "This is the first ever congressional hearing on Stingrays. This is a device the FBI started using in 1995. It shouldn't take 20 years to get a hearing on a surveillance technology," said ACLU technologist Christopher Soghoian, the nation's leading expert on Stingrays. "For this hearing to take place, we have had four years of lawsuits and front page stories. The government fought us every step of the way. This is transparency at gunpoint to them," he said.